It has been a while – a very long while. So, as a bit of a “reset,” here is what this page is about – whether you prefer “Vegetables” or “Forgotten Fruit” of the Spirit. Why now? In part, because as new empty nesters I have a bit more time now. Also, because several email exchanges with a new friend in the UK has triggered a new interest and desire to jump back in. The Christian culture loves the fruit of the Spirit as listed by Paul in Galatians 5:22, but have we taken a list provided to a group of early church believers and elevated it higher than intended? Instead, when considered a “representative” list, rather than exhaustive, it allows for Paul to be writing to the specific needs of the Galatian church, without these 9 traits being the complete list of the Holy Spirit working in our lives. The Vegetables are more than just listing synonyms to Paul’s listed 9. They are differentiated because they may not be our favorite to develop, demonstrate, or receive. The Search: Fruit are easier to spot and identify than vegetables. You see fruit as soon as you see the trees. If you’re not familiar with vegetables, you may not even know which are edible. 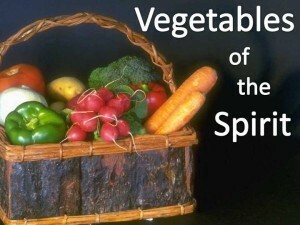 Spiritually, the fruit have a spotlight on them, being introduced by “The fruit of the Spirit is…” The Vegetables are qualities that you’ll find scattered throughout the Bible, present but without fanfare. The Harvest: Dressed in your finest clothes you can still grab an apple off the tree and be on your way. It’s less likely you would grab a fork and dig up potatoes without changing first. A life defined purely by the fruit may seem clean and virtuous, but when you look at Christian lives with lasting impact, you’ll find the veg too… and a few messes from getting in the dirt for Christ. The Taste: Before children even have teeth, they have a sweet tooth. Babies started on fruit-based baby food are often difficult to transition to broccoli. Even as adults we follow this trend. In a Christian culture where getting along is the top priority, the fruit may appear to provide those goals but will only get you so far without the impact of the vegetables. The Response: This category is the result of the other three. The traits that are easy to find, embrace and make you feel good are going to gather a larger following than those requiring more work, difficulty and effort. Here are some examples: Risk, Boldness, Greatness. Uh oh… those don’t sound very “Christian,” do they? But are they? Some of you are still cringing – inside or physically. Isn’t Risk just recklessness? Boldness an open door to arrogance, and Greatness a path to unrestrained ego? Are we viewing these words in the biblical sense, or with our own baggage piled upon them. In the flesh, perhaps, but NOT if they are “of the Spirit.” Similarly, Paul’s listed fruit can fall into a place they are no longer Spirit-led. Abused love can become enablement, gentleness can sometimes be excused cowardice, and the Bible is not kind towards the cowardly. The key point to remember is that the Holy Spirit-led life will maintain a proper balance between the Fruit and Vegetables, but ignoring either side will result in us going too far the other side, and into sin. Still struggling? In the coming weeks and months, we will unpack these ideas further. This idea has been growing (sorry) since the spring of 2006, and I’m excited to see where the time off will take it moving forward. Share your thoughts below, and be part of the conversation. I can’t commit to daily responses, but give me some grace and patience and let’s see where it leads us! Speaking events and even Regional Movie Ministries are still not my top life priority – family, the “real” job that pays the bills, and our core ministry of Men of AIM and our ‘own’ RMM, the Heart of Illinois Christian Movie Central, are higher. That said, we are excited about 2016. 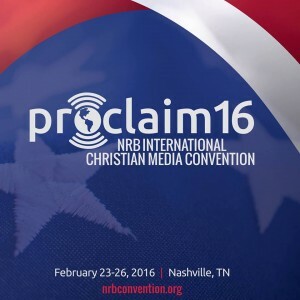 Tomorrow starts a week in Nashville for the National Religious Broadcasters conference, which I will be attending for the first time. I brought some books to share, and hope to meet with a number of directors, producers, and marketing teams about the RMM concept. In another recent development, I’ve been asked to serve in a central role with the National Coalition of Ministries to Men (NCMM) in the area of Movie outreach among NCMM members. Men of AIM has been an NCMM member for several years, and we’re excited to see where this goes. Will we hit 500 RMM’s this year? Probably not, but we’ll encourage what we can, and with networking we may well find out there are far more groups already serving this role in their towns, so maybe we can get to 100 or so without actually seeing ‘new’ groups planted! Your prayers are greatly appreciated! One area we do plan on doing better at is updating this page and the RMM Facebook page. Who knows, maybe this year we launch a RMM specific web page. With a handful of financial supporters of the RMM concept, it would be an easy decision to take that step. Few posts on this page, but much work behind the scenes. 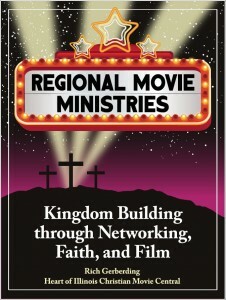 Much of the last year has been involved praying around the idea of Regional Movie Ministries. We will soon be releasing an e-book based on our experience with the Heart of Illinois Christian Movie Central, and how it differs from the larger Regional Movie Ministry concept. 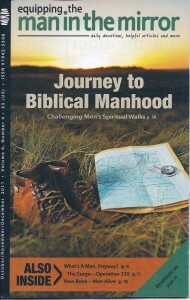 We decided that the HOI CMC will remain on the Men of AIM website, so if you’re around the Heart of Illinois your main resource website will be at www.MenofAIM.org, with information relevant to this region. The RMM efforts will not be about a local region’s grassroots efforts, but instead about networking among (hopefully) the RMM leaders who God calls. We will share what we’ve learned, what has worked (and what hasn’t! ), and encourage one another to press on to serve Him! Late last year, my wife and I prayed that if God was in the writing efforts, He would provide some open doors. Granted, this was prayed about the time that I was already signing with a well respected literary agent, so things were already looking pretty good. It’s not often I’m likely to write about a book where the title came from a President Obama speech, but “As Good as She Imagined” is not about Obama, it is about the impact of an 9-year-old girl’s life and death, both of which came on days that grabbed the attention of the nation and the world. 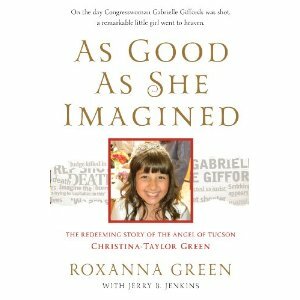 Born on 9/11/2001, Christina-Taylor Green was murdered as part of the Tucson attacks on January 8, 2011. In the 9 years in between, she impacted many lives, and was even included in a book about children born on 9/11. Back to Equip – 6th year! The schedule is out for 2012, and I’m excited to be returning for several workshops this year, plus a new addition. This conference is great for churches from all sizes, though it seems to be largely attended by the smaller churches. What had once been a “Sunday School Convention” has grown to cover many ministries. I think it’s safe to say I’ll remember 11/11/11 for a long time. Perhaps the rest of my life, or at least until I start to forget everything and this becomes part of everything. Day after tomorrow I head to my second writers conference, this time in Indianapolis. I look forward to further discussions with agents, publishers, and other writers. It’s a slow process, but far from painful as each step has so much to teach me. Some of that teaching is about patience, and I’m ok with that. Devotionals on “Resist the BAIT, Avoid the Trap” Published. 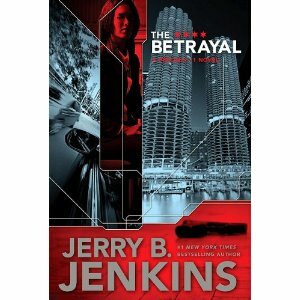 I started the Left Behind series by Jerry B. Jenkins about halfway through their release, so I read several back-to-back… then had to WAIT for the next one. Read it in a few days, then WAIT for one after that.